RECAP: Eduardo Nunez Comes off Bench and Mashes Three-Run Home Run as #RedSox Take Game One of World Series from Dodgers. After a five-day layoff that involved celebrating winning the American League pennant, waiting to see who they would play, getting in some light workouts, and fulfilling media obligations, the Red Sox were finally back in action on Tuesday night, as they welcomed the National League champion Los Angeles Dodgers into Fenway Park to begin the 2018 World Series. The last time these two clubs matched up in the Fall Classic, Babe Ruth was on the Red Sox and the Dodgers, who went by the Robins at the time, called Brooklyn, New York home. That series took place 102 years ago in 1916, when Boston took four out of five games from Brooklyn to claim their fourth World Series title. Now, both of these organizations truly represent the cream of the crop in baseball, as they make up two of the highest payrolls in the league. 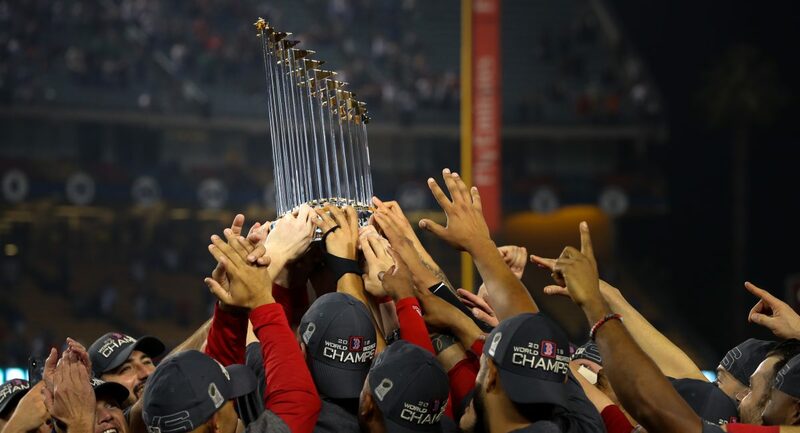 Their paths to get to this point were a little different, with the Red Sox claiming the best record in the American League and the Dodgers having to play a Game 163 in order to claim their sixth straight NL West crown. But still, they got to the position where they would be a few steps away from the ultimate goal, and the journey to that goal began last night. Getting the start for the Red Sox in this one, his first ever World Series nod, was ace Chris Sale, who hadn’t seen any in-game action since Game One of the ALCS because of a stomach ailment. Pitching into the fifth inning under the bright lights at Fenway, the left-hander surrendered three earned on five hits and two walks to go along with seven strikeouts on the evening. Similar to his previous two starts this postseason, Tuesday’s outing was another grind for Sale. A scoreless first, followed by facing a combined 11 hitters over the next two frames where the Dodgers plated their first two runs on a Matt Kemp solo home run in the second and a Manny Machado RBI single in the third. The Florida native would rebound by retiring the side in order in the fourth, but his night would ultimately come to an end after walking Brian Dozier on five pitches to lead off the fifth. Finishing with a final pitch count of 91 (54 strikes), Sale, who was caught by Sandy Leon, threw 33 sliders, 30 four-seam fastballs, 16 changeups, and 12 two-seam fastballs in his first career World Series start, which induced 11 total swings and misses. Out of those 30 four-seamers, the 29-year-old managed to top out at 96.2 MPH with that pitch in the first inning. Unable to pick up the winning decision because of the rather short outing, I would expect to see Sale back on the mound in a starting capacity on Sunday in Game Five, if the series reaches that point. In relief of Sale, the Red Sox bullpen was responsible for the final 15 outs of this one, and they were quite effective as a group once again. Matt Barnes got the first call with the tying run on first and no outs in the fifth, and he allowed that inherited runner to score on an RBI ground out from Manny Machado in an otherwise clean frame that earned him the winning decision. Joe Kelly was next up for the sixth, and he continued to impress with another scoreless relief appearance, striking out to along the way as well as hitting 100.1 MPH on the radar gun at one point. Ryan Brasier entered the seventh with a two run lead to protect, got the first out, then proceeded to load the bases for the Dodgers on two singles and a walk with Manny Machado due up next. Fortunately, he was able to hold Machado to a sacrifice fly, which saw Boston’s lead cut down to one run. That made way for Eduardo Rodriguez to make his World Series debut with the left-handed Cody Bellinger coming up to bat for Los Angeles, and he got the job done by getting Bellinger to fly out to center to send this game to the middle of the seventh. Nathan Eovaldi was responsible for the eighth inning after his team had just jumped out to a four run lead, and he got the only three hitters he faced to ground out in a scoreless inning. Finally, Red Sox closer Craig Kimbrel came on in a non-save situation and put together his second straight shutout performance by striking out the final two Dodgers he faced to secure the Game One win. On the other side of things, the Red Sox lineup was matched up against another ace left-hander in the form of three-time National League Cy Young Award winner Clayton Kershaw, who was making his first career start at Fenway Park on the biggest possible stage. Starting the scoring right away in the first was Mookie Betts, whose leadoff single, followed by a successful steal of second base, would result in Boston’s first run of the night crossing the plate on an Andrew Benintendi RBI single. On that play, Benintendi was able to advance to second thanks to a poor throw from Dodgers right fielder Yasiel Puig, and he too would come around to score on a one out RBI single off the bat of JD Martinez. 2-0. Two innings later, after the Dodgers had bounced back to knot this thing up at two runs a piece, Benintendi and Martinez linked up again, as the DH would drive in the left fielder from first on a one out line drive RBI double off the center field wall. 3-2. In the fifth, both Betts and Benintendi reached base to lead off the frame, which resulted in Clayton Kershaw departing from this contest having only recorded 12 outs. So, with runners at first and second and veteran reliever Ryan Madson now into this game for Los Angeles, Steve Pearce came to the plate, took four straight balls, one of which was a wild pitch, and set up a huge spot with the bases loaded for JD Martinez. Already with a pair of RBI under his belt up to that point, it was honestly shocking to see Martinez fan on three straight hittable pitches from Madson, but Xander Bogaerts and Rafael Devers salvaged things by driving in a combined two runs on an RBI ground out and an RBI single. That gave the Red Sox a fresh 5-3 lead, but they were not done yet. Fast forward to the seventh, moments after the Dodgers had made it a one run game in their half of the inning, Eduardo Nunez came to the plate with two outs and the chance to tack on some insurance runs for his club. Pinch-hitting for Rafael Devers with runners at first and second and left-handed reliever Alex Wood on the mound for Los Angeles, Nunez swung at the second pitch he saw, an 84 MPH knuckle curveball located on the lower half of the strike zone, and ripped it 373 feet into the first row of Monster seats in left field. Alex Cora may in fact be a genius. That three-run blast padded Boston’s lead up to four runs, which is all they would need to pick up this pivotal opening World Series victory. From @MLBStatoftheDay: Eduardo Núñez is the first player to have a World Series pinch-hit home runs since Hideki Matsui (Game Three, 2009). Andrew Benintendi went 4/5 with one RBI Tuesday night, and according to @SoxNotes, Benintendi is the third player in Red Sox history to collect four or more hits in a World Series game. Looking to go up two games to nothing headed into a cross-country flight to Los Angeles, it will be David Price getting the ball for Boston in Game Two of the World Series. Making his first appearance in a World Series since his rookie year in 2008, the left-hander is fresh off six scoreless innings and his first winning decision as a starter in the postseason in his last time out against the Houston Astros in Game Five of the ALCS. In his career against the Dodgers, Price is 0-1 with a 2.25 ERA in 12 innings pitched over two starts. Opposite Price will be another left-hander for Los Angeles with South Korea native Hyun-Jin Ryu getting the nod for Game Two. In only one career start against Boston back in August of 2013, Ryu surrendered four earned runs over five innings in a losing effort. Not like that means much now, though. First pitch of the second game of the World Series is scheduled for 8:09 PM ET Wednesday on FOX. 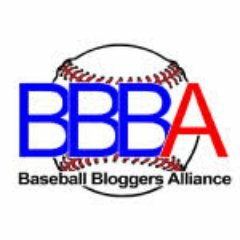 Author Brendan CampbellPosted on October 24, 2018 Categories Baseball, Sports, UncategorizedTags andrew benintendi, Baseball, boston, chris sale, clayton kershaw, craig kimbrel, dodgers, eduardo nunez, eduardo rodriguez, jd martinez, joe kelly, los angeles, matt barnes, mlb, mookie betts, nathan eovaldi, rafael devers, red sox, ryan brasier, world seriesLeave a comment on RECAP: Eduardo Nunez Comes off Bench and Mashes Three-Run Home Run as #RedSox Take Game One of World Series from Dodgers. Clayton Kershaw and Chris Sale Are as Good as It Gets to Open up a World Series. Two of the most dominant left-handers in all of baseball are set to square off in a pivotal opening game of the 2018 World Series on Tuesday night after both the Los Angeles Dodgers and Boston Red Sox announced who their starting pitchers would be for the first of a best of seven Fall Classic. Clayton Kershaw and Chris Sale, two elite hurlers who have represented their respective leagues a combined 14 times at the MLB All-Star Game, were officially named the starters for Game One of the World Series tomorrow, and although there may not be much history between them, there is still much to look forward to. Since the start of the 2010 season, no left-handers have been more valuable to their teams than these two aces. Kershaw, in nine seasons with the Dodgers, has been worth 55.6 fWAR, while Sale, in nine seasons spent with the White Sox and Red Sox, has been worth 41.8 fWAR. In terms of accolades and pitching in big game situations, Kershaw, a Texas native, has Sale, a native of Florida beat. The recipient of three National League Cy Young Award crowns and one MVP award in 2014, Kershaw also has five ERA titles under his belt to go along with one Gold Glove in a pitching Triple Crown in 2011 when he led the NL in wins, ERA, and strikeouts. Not only that, the 2006 first round pick has pitched in 28 postseason games (22 starts), with three of those coming in the 2017 World Series. Over that span, Kershaw has posted a 4.09 ERA and a .210 BAA in 141 IP, all with a 9-8 record. On the other side of things, Chris Sale has yet to receive any honors for the spectacular regular seasons he has put together and has only appeared in five postseason games, but keep in mind the quality of team each of these aces has pitched for. Since he exceeded his rookie limits during the 2008 season, the worst record a Clayton Kershaw Dodger team has finished with was 80-82 in 2010. Meanwhile, before he was traded to the Red Sox prior to the 2016 season, the worst record a Chris Sale White Sox team finished with was 63-99 in 2013. Game One will be Clayton Kershaw’s first ever time pitching at Fenway Park, while Sale has ony made one career start at Dodger Stadium. Both were drafted early in their respective drafts, both were elite prospects at one point in their minor league careers, both have started All-Star Games, and both have been in the running for Cy Young Awards. Now, both have the chance to give their club an early 1-0 advantage in the 2018 Fall Classic at Fenway Park. It should be a blast. First pitch is scheduled for 8:09 PM ET Tuesday on FOX. Author Brendan CampbellPosted on October 22, 2018 Categories Baseball, Sports, UncategorizedTags Baseball, boston, chris sale, clayton kershaw, dodgers, los angeles, mlb, red sox, world seriesLeave a comment on Clayton Kershaw and Chris Sale Are as Good as It Gets to Open up a World Series.